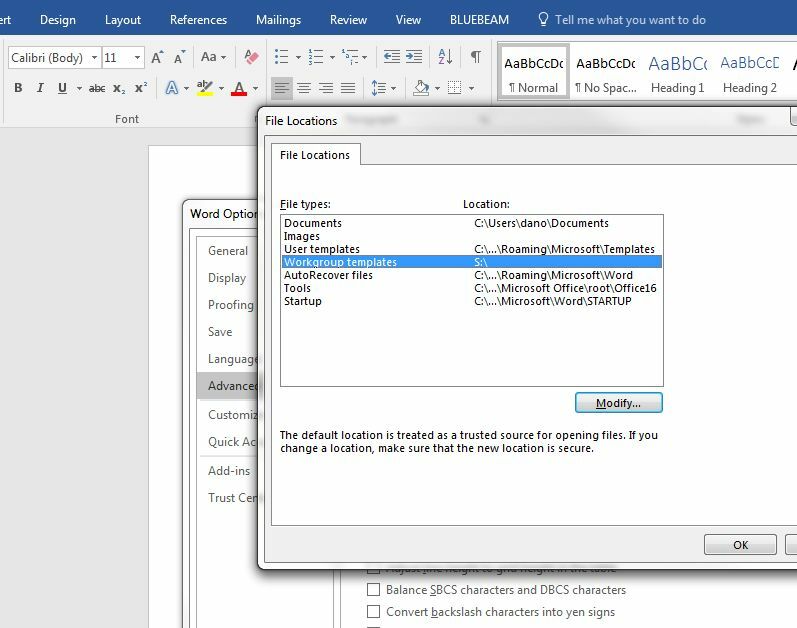 Word 2016 Workgroup Template GPO not applying. I'm fairly new to group policies so I'll try to explain this the best I can. I'm trying to create a GPO that will add our companies workgroup template path from our network shares drive. -I run a gpupdate, go into Word 2016, and I can see that there is a shared location showing up but nothing is in there. -I go to file locations under advanced options and it is blank. Does anyone know why it is not working? What your saying is the GPO maps the path to \\fveng.com\shares\Support\Templates & Forms? I don't think I need to map it. What are you trying to accomplish? Do you want the users to be able to see templates under the S drive? 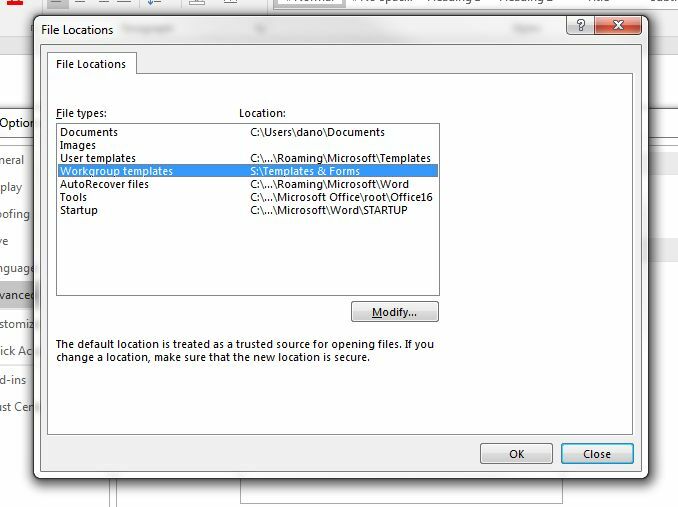 When I go into word - advanced - options - file location - workgroup templates It is blank for users even though the GPO applied a registry key. For some reason it isn't being directed to the S:\ drive where the shared templates are located on our network. Why don't you map S: right up to the template folder.